Spring is here and a forager can find fresh, wholesome, delicious food for free just about anywhere she looks! Throughout history, people have practiced foraging to put food on the proverbial table. In school, we learn about 'hunter gatherers,' tribes that foraged for wild plants and followed animal herds. In many cases, these hunter gatherer tribes faded away with the rise of intensive agriculture and sedentary civilizations, but small pockets of strict foragers remain around the world today. Foraging is also a popular pastime in modern society. Walks through through the countryside with a basket for wild blackberries and strawberries are fantastic to imagine, but unrealistic for most city-dwellers. In recent years, a growing urban foraging movement has drawn attention to the abundance of edible plants in even though most seemingly food-bare environments. If foragers search for edible wild plants, what do urban foragers do? Look for edible plants in the city, of course! Urban foraging is part of a larger movement towards sustainable living, urban homesteading, and guerrilla gardening. San Francisco, Portland, and New York City are leading the way with urban foraging communities and classes to help aspiring urban foragers learn what is safe to eat and what isn't. Some of these groups have websites where users can share information and map edible wild foods. For example, the Portland, Oregon group allows browsers to search for foods by location or food type, and allows for submissions of newly-discovered items. Urban foraging is different from the also growing 'freegan' movement. A freegan (freegan is a portmanteau word formed by combing "free" and 'vegan') is an individual who refuses to participate in the modern consumer economy and practices 'dumpster diving' for items and food, including meats. While some urban foragers are also freegans, there are many foragers who don't feel comfortable with digging through dumpsters for unrefrigerated perishables, no matter how safe freegan groups profess these foods to be. 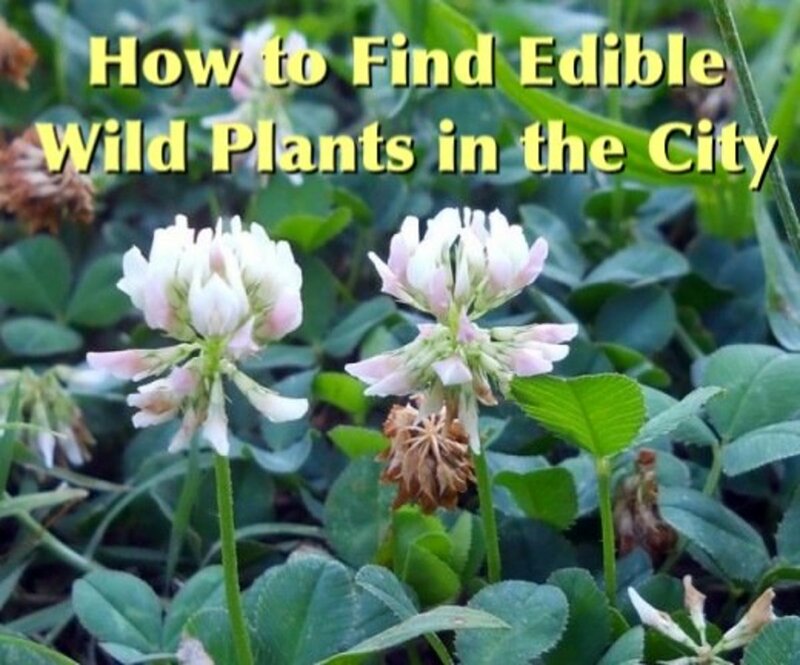 The edible wild plants in your area may vary widely from what is available where I live, but some of the most popular, easiest to identify plants grow in a wide variety of places. 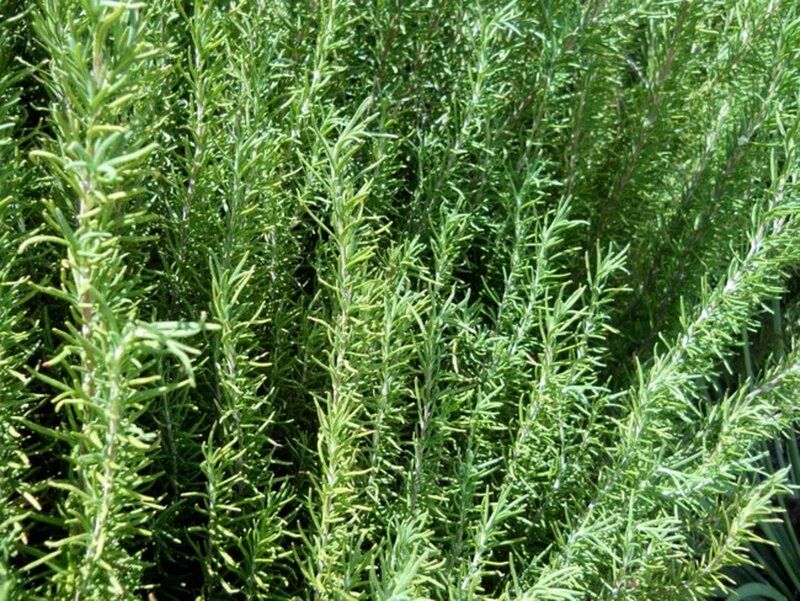 Catbriar, also known as greenbriar, bullbriar, horsebriar, and by a variety of other names, is one of the most prevalent, and nutritious, foragable plants. 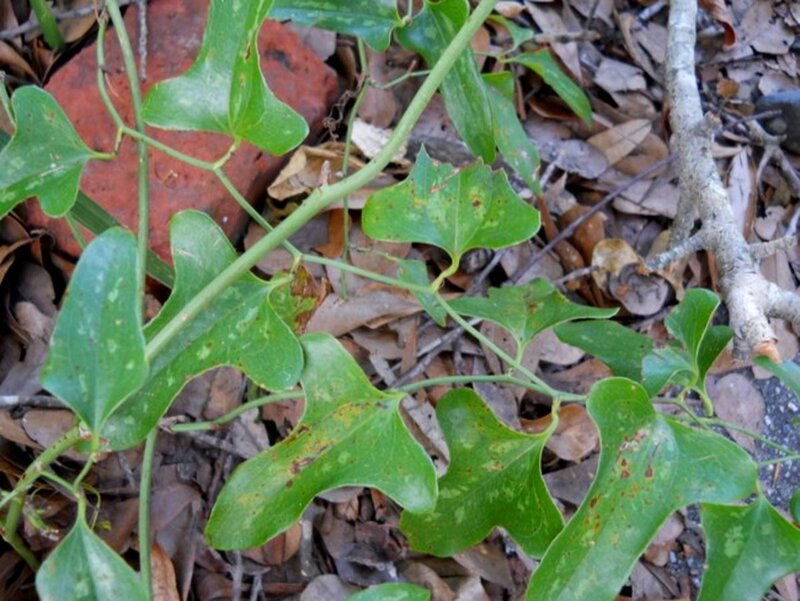 It's Latin name is Smilax and all varieties of the plant have edible shoots, leaves, and roots. Some varieties also produce edible berries. Be careful, though, each berry contains one or two inedible seed pods. 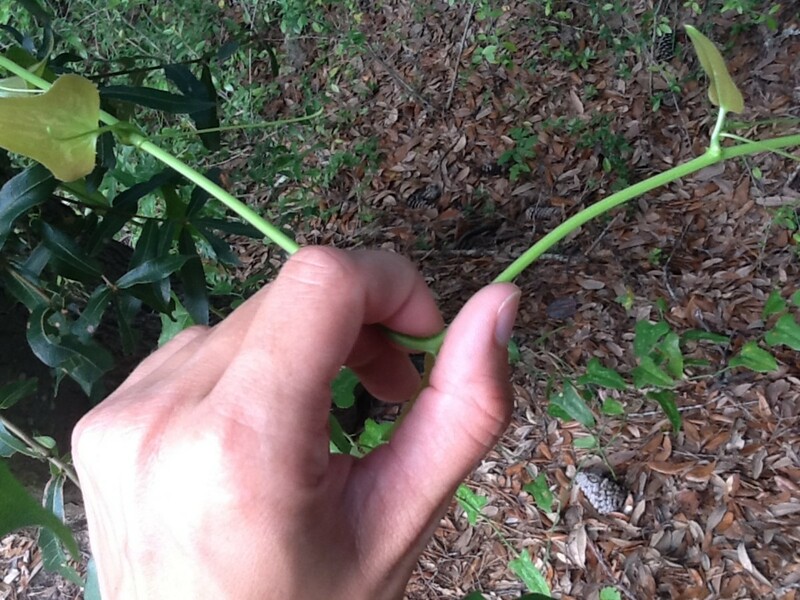 Smilax is easy to identify because it is the only vine with both thorns and tendrils. 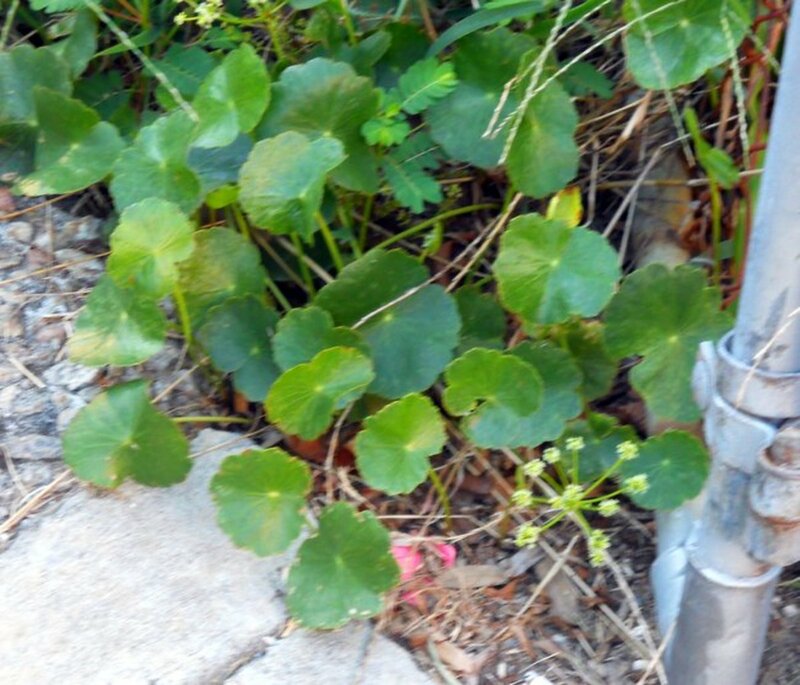 Many people consider this plant an invasive weed and don't even realize it is edible! Any tender portion of the vine that you can snap off with your fingers can be eaten raw or cooked. It has a light, crispy taste and is best treated like asparagus. While it can be eaten raw, eating too much of it uncooked can cause a sour stomach, so it is better to steam it if you want to use Smilax as a side dish. An extract from the root of some varieties was the original root beer, sarsaparilla. The root, itself, is very starchy and a great source of nutrients and calories. The leaves can be cooked like spinach. 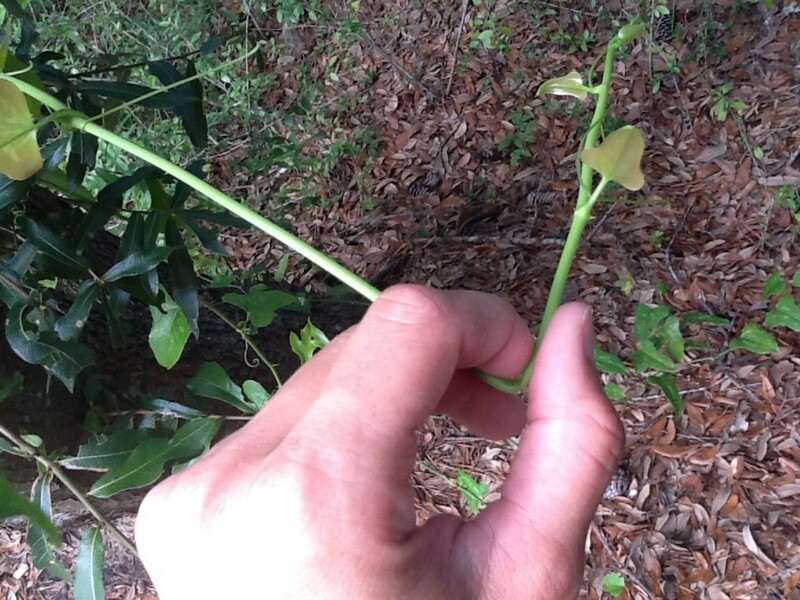 For a wealth of information about smilax and how to harvest and prepare it, visit Eat the Weeds. Dock, or Rumex, is also a fairly common weed. Several varieties exist and the leaves are best in the spring. A member of the buckwheat family, dock is also related to chard. The uncooked leaves are edible, but sometimes are very bitter and astringent. They should also only be eaten raw in moderation because they contain a high concentration oxalic acid. Oxalic acid binds up nutrients in food and regularly consuming large amounts of it can lead to mineral deficiencies, particularly calcium deficiency. 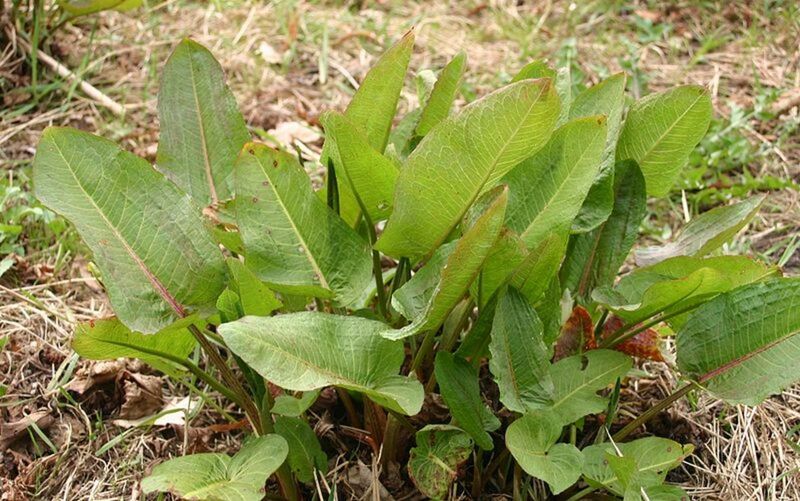 Consequently, it is best to cook dock leaves before eating them. Cook them like you would spinach, or other assertive greens. Dock roots and seeds are also edible, but the seeds have a lot of chaff. 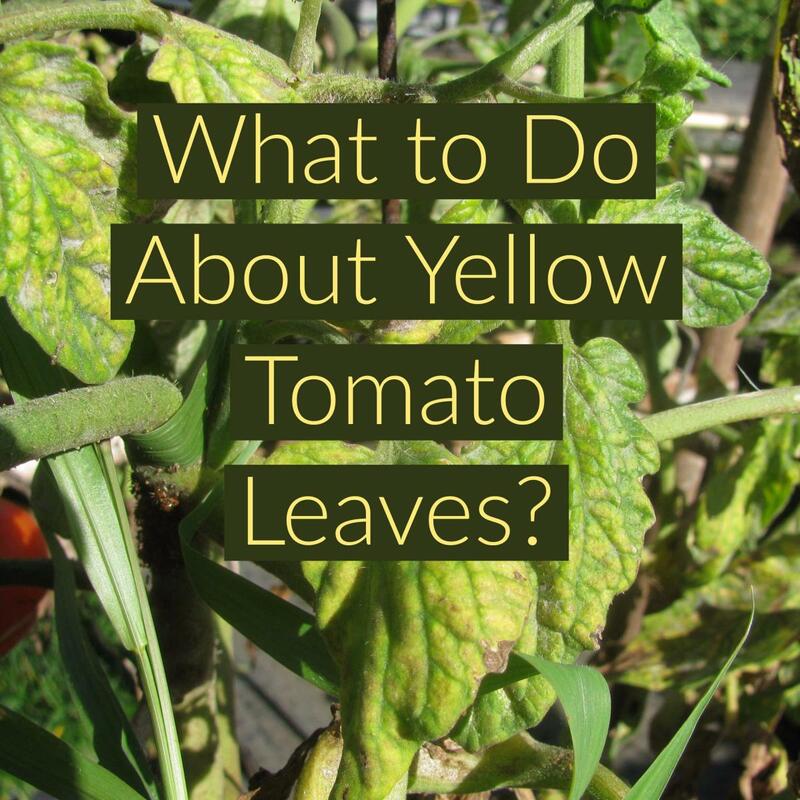 For more information on identifying and using the plant, check here. Pennywort or Dollarweed is actually edible. Yes, there is a use for this annoying, seemingly-impossible to irradiate plant! Not only do the young, round leaves have a pleasant, crisp taste (kind of like celery or a snow pea), but they also contain a compound scientifically proven to relax blood vessels and reduce blood pressure. 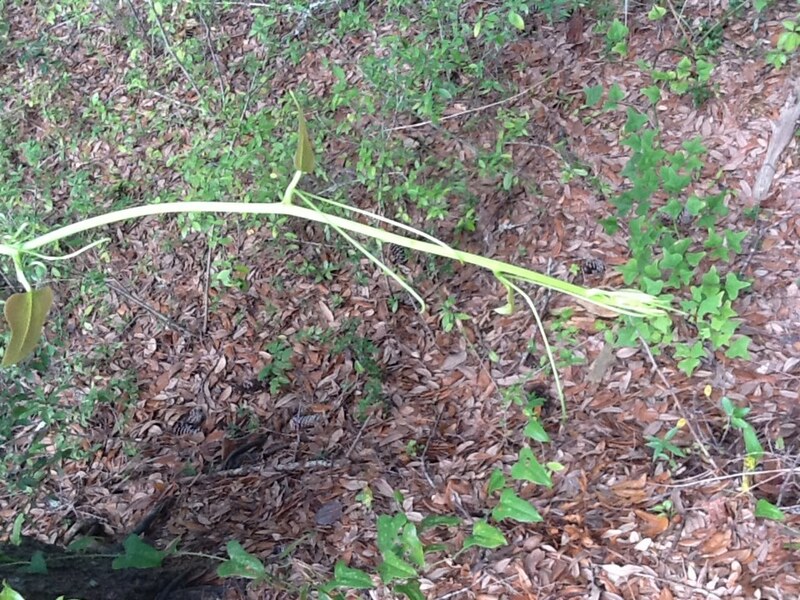 If you live in the South, chances are good these 'weeds' are all over your yard. Instead of poisoning them, try eating them! 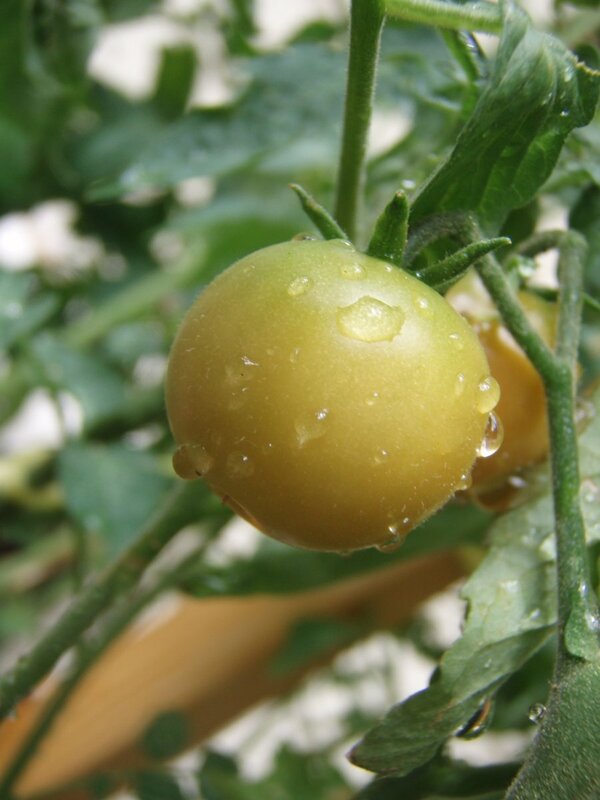 Because they do like damp environments, make sure to thoroughly wash the leaves before putting them in your mouth. To learn more, check here. These are only a few of the most popular, easiest to identify, and most difficult to confuse with something poisonous plants that can thrive in urban environments. As you can see from my photos, aloe, mint, and rosemary also grow near where I live. 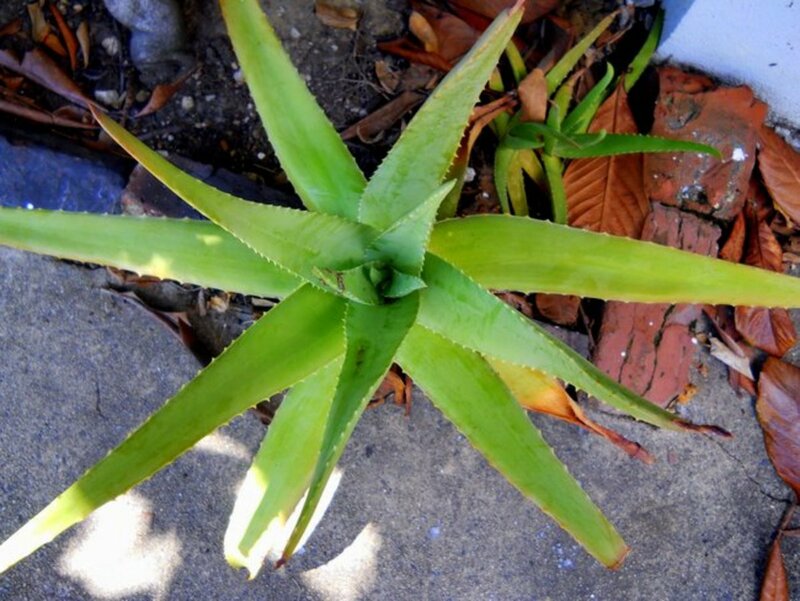 Everyone knows aloe is great for burns, but did you know you can make your own aloe vera juice at home? Aloe juice is incredibly healthy because aloe contains natural anti-bacterial, anti-fungal, and anti-viral agents (which is why it's so fantastic for burns). Fruits, such as loquats or wild strawberries, can also grow in cities, so don't limit your quest to veggies! How to identify 3 healthy, green vegetables growing wild in the countryside; nettles, wild asparagus and chicory. Recipes of how to pick and make them into delicious, frugal meals. There are many inedible, and even deadly, plants in the world. Whenever you forage, do not eat anything, or even taste it, until you are 100% sure it is absolutely safe. If you find something interesting while out foraging, take a picture of it, or snip a sample and keep it isolated from your other foraging finds, until you can get home and positively identify the plant. Some areas have foraging classes. If you have the opportunity to take a foraging identification class, do so. It is a fantastic way to learn from the experience of others. If you do not have access to a foraging class, purchase a reliable foraging guide. My favorite is Stalking the Wild Asparagus. First published in 1970 and redone in 2005, it was the first real wild food book. The author, Euell Gibbons, was one of the nation's first proponents of natural diets and holistic living. The book contains guides on how to find plants, drawings, potential medicinal uses, and recipes for main dishes, sides, jellies, jams, and 20 different pies. (If that doesn't get you excited, I don't know what will!) No matter which guidebook you choose, read it carefully before you start foraging. Bring the book along as a reference until you are confident in your plant identification skills. 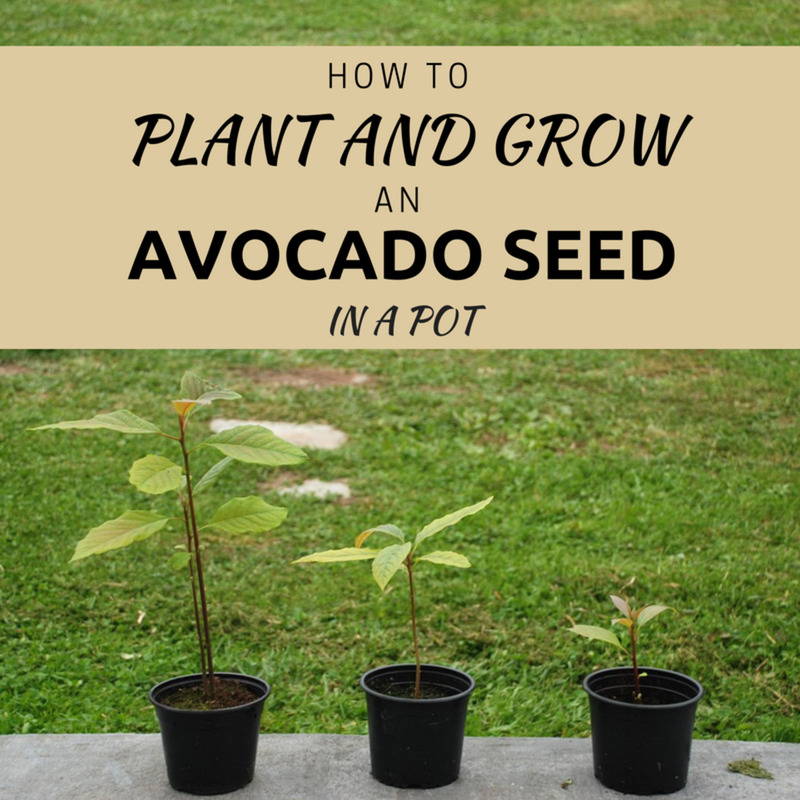 A high-quality guide should tell you the plant's characteristics, provide drawings, explain which parts of the plant are edible and which parts are not, and warn you about potentially inedible plants that closely resemble the edible varieties. No matter where you forage, make sure you do not trespass. Trespassing is illegal and simply not worth it to grab a free vegetable. Some cities actually have ordinances permitting or prohibiting urban foraging, so check your city codes to learn the laws. Also, check local public lands, green spaces, and parks for signs about picking or removing plants. State and national parks do not permit plant removal, but some local parks may. Find if your community sprays any indigestible pesticides or herbicides on roadways and sidewalks. A free veggie is also not worth getting poisoned! Always, always make sure to thoroughly wash all foraged produce before eating it, especially if it was foraged in an urban environment. Dirt, road grime, car exhaust, dog pee, bacteria - there's no telling what's lurking on that leaf! Forage responsibly. If you find some great wild blackberries or strawberries, don't pick all of them - leave some for your fellow foragers and the wildlife. Also, be careful not to damage the plant or the scenery. Yes, the catbrier tuber is very nutritious, but digging up a community flower bed to access one of these roots is not appropriate. Would you eat foraged food? No, it creeps me out. I would, but I'm not confident in my skills. One of my life mottos is 'if you're nothing having fun or getting paid, why do it?' Foraging for food should be fun and exciting. Some wild foods are an acquired taste - don't get discouraged if you try a plant and it doesn't impress you. You still were able to identify and find the plant, which is an accomplishment to be proud of. 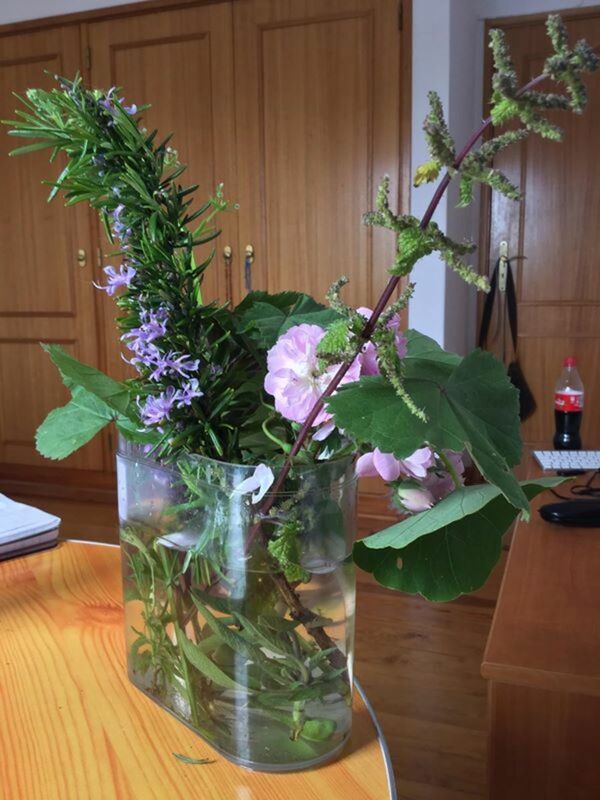 Also, don't be afraid to experiment with edible wild plants. Some are fantastic raw, while others need cooking. In some cases, steaming a plant will make it taste wonderful, but sauteing it makes it disgusting. Do not give up if one preparation method doesn't work. Stay safe, have fun, and good luck! 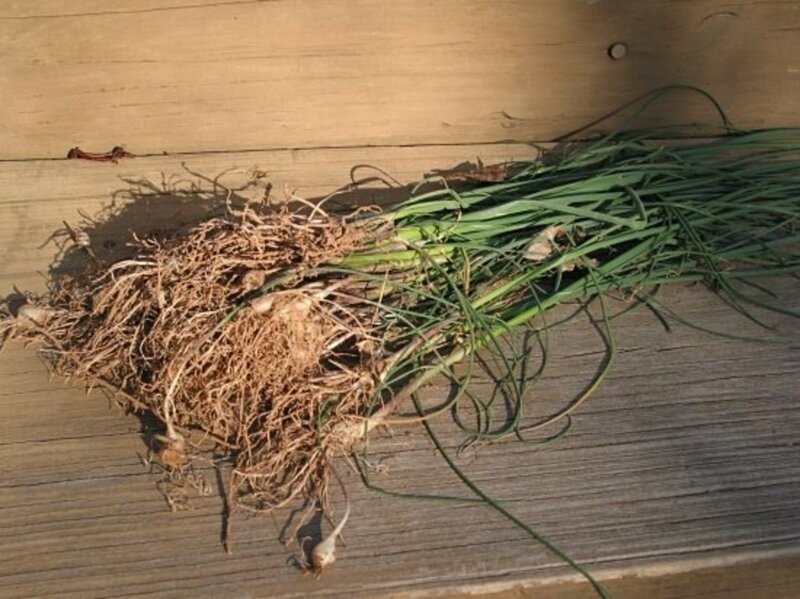 What Is Wild Onion Grass and How Do You Control This Plant? When I lived in NYC 20 + years ago I took a foraging tour of Central Park where we learned about all of the things we could eat if we wanted to. That was so much fun and a real eye opener. What a great hub! I really enjoyed this hub. Just wanted you to know I've pinned it for future reference. Probably so! I'm sure most people in the past knew far more than we do about how to find food. Hello Natasha, this is a very fascinating hub to me, I love to learn more about edible plants, but don't have enough knowledge on the subject. I think long ago, people probably knew this information like the back of their hand! I appreciate the tips and all you shared, thank you. That's why you need to not eat something that comes from right next to the highway! Though, to be fair, fuel is pretty much unleaded now. =) Your yard, your neighbors yard, the vacant lot next door - that's more what I had in mind. When I lived in downtown Charleston, several of these plants grew literally along the side of my house! I too also thought, Food banks, soup lines. I was always told never eat the berries that grow next to the highway because of the high lead content from auto exhaust. 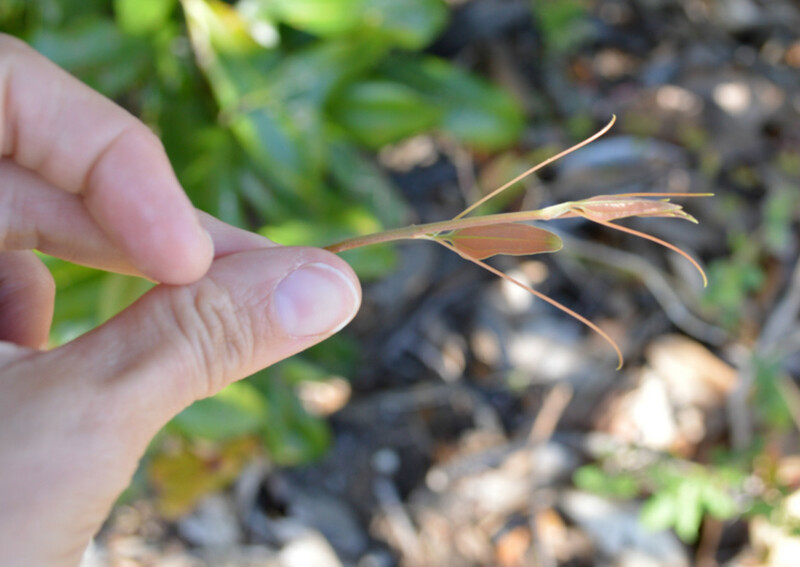 Go for smilax - there is literally nothing else that looks like it! Tendrils + thorns = safe to eat. I understand about being nervous. There are things I don't trust myself with, either! This is a great hub! I've always wanted to do it, just scared of poisoning myself. Yes, you can eat nettles, they just don't grow where I live! Wild plums - that sounds tasty. I've always enjoyed picking wild fruit. 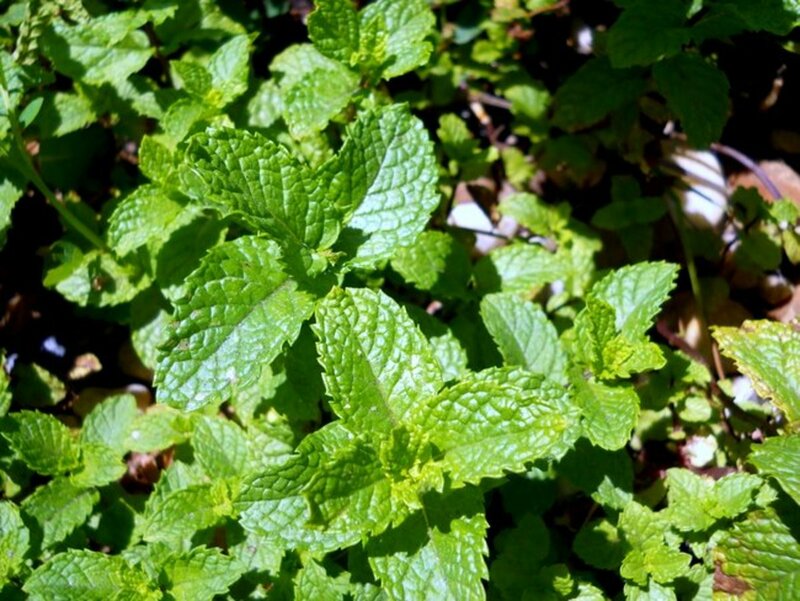 Nettles are said to make a good soup and are easy to spot and identify. We do not forage for food as we grow a lot of our own vegetables but we have the perimeters of the plot for wild growing things like blackberries and a wild plum tree. Thanks for stopping by! I hope you get the chance to forage for some tasty treats. This time of year is bad for finding greens, but we're coming up on prime time for a lot of fruits and nuts. This is fascinating -- my mother knows all the wild plants and often points them out, because during the Depression her family often harvested them and added them to meals. I never thought of picking them now! Interesting information. White clover has such a nice, delicate taste as a tea or in rice. This time of year most of it where I live is kind of past it's prime, though. Thanks for stopping by and voting! Just voted up and interesting for this really great hub and wanted to add that where I live in Tenerife the White Clover is used as a food plant for African Grass Blue butterflies and there are often large colonies of these on lawns in which the plant grows, even in built up resort areas because hotels often have lawns. Thank you! I agree, the movement is growing. Thanks for stopping by and voting. A very interesting hub...I think Urban foraging is gaining momentum...an interesting and informative hub....thanks for sharing. Voted up and interesting. Oooohhh, fried elderberry flowers sound good! People don't think about eating flowers often enough. Thanks for stopping by! Natashalh, believe it our not, I've actually fried elderberry flowers, boiled cattails and made sumac tea...best way to raise three boys! It is fun browsing through our Wild edible plant book and finding "food" on our land. Thanks for the hub- have not tried freegan, yet. While strawberries are tiny! But well worth it. I'm pretty sure we don't have those nettles here. I know what you're talking about, but they just don't live around here! Dandelions are excellent in salads as long as you stick to the youngest, most tender leaves. The flower petals can also color rice and go well on a salad too. Nettles are fabulously rich in nutrients and make great soup. 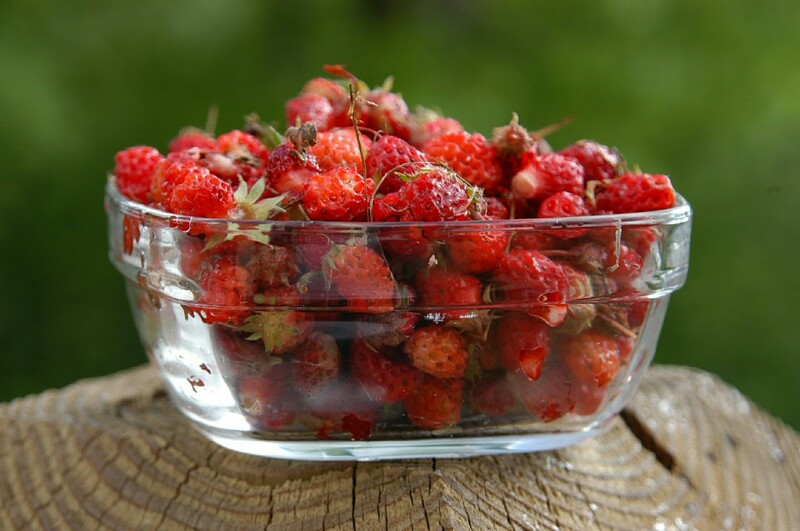 Oh.. and wild strawberries grow in abundance in hedgerows in the UK. They are so sweet but very, very tiny. Thanks for stoping by, AliciaC. I don't know about BC, but I know there are some delightful berries on the other side of the country. A lot of freegans break into grocery store dumpsters after the stores close. It's pretty sketchy! This is an interesting and useful hub, Natasha. I enjoy eating the plants that I collect, but I could never be a freegan unless it was absolutely necessary! I enjoyed the link to GoodLady's hub, too. We have chicory around here, but I haven't seen nettles. Maybe I haven't looked in the right way and the right places. I love the idea of eating free food from the earth. Great idea for a hub, Natasha! I know! I've been ripping it up for ages without knowing what I was throwing away. What's remarkable it isn't just edible, it is really, truly good for you. This is very interesting! I had no idea that dollarweed was edible. I have to give that one a try--it's everywhere down here. That's awesome, Janis Goad. People around here aren't really into that kind of stuff. Twinstimes2 - I'm okay with picking up random bits of furniture (moving out college kids throw away nice stuff! ), but I do draw the line at food. A lot of freegans break the law all the time, too, and tend to get in trouble with the police! I just heard the term freegan for the first time on Project Runway. What interesting information in your hub. I think I would be more into foraging than dumpster diving. Interesting! No, people don't think I am crazy. 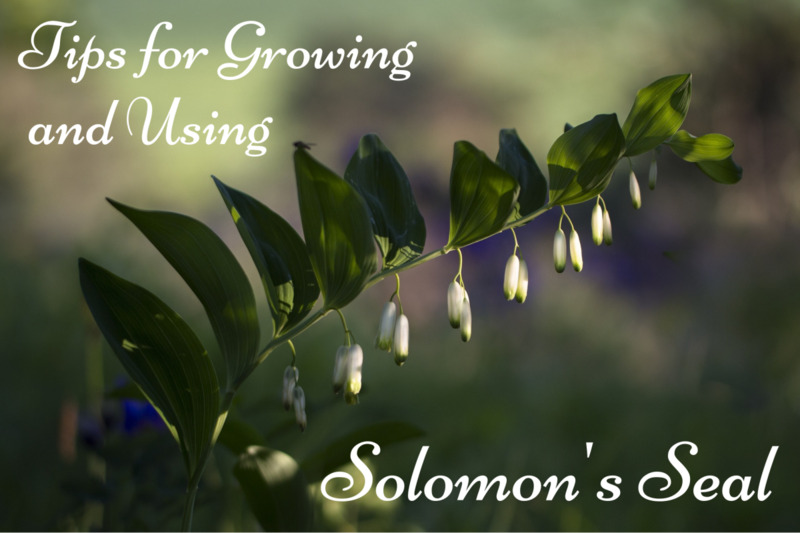 Lots of people around here like to gather wild and grow things at home. There is a lot of support for local organic produce, and the 100-mile diet. Wild food is an extension of that. I'd love to add dandelions and violets to this hub, but I'll have to wait until next spring to get my own photos of them. I should add clover, though. There's some right outside my door! You have wild goji berries? That's awesome. I don't know that they grow near where I live. Do people give you that "you're crazy" look when you tell them you eat wild foods? Young dandelion leaves are good sauteed. I am enjoying mint tea from the garden, and have recently been shown wolfberries, or goji berries, that grow wild in the ravine. I never knew what they before. I love eating wild foods. Hahaha, yes, it does sort of conjure up images of eating like a homeless person, chrissieklinger. That's why Stalking the Wild Asparagus is fantastic - it gives you recipes. I know at least NYC, Portland, and actually Atlanta have classes on urban foraging. I wish there were classes near me! I'm sure I could learn a lot more. Thank you for stopping by! I think catbriar is the perfect place to start because you cannot mistake it for anything else. If it has thorns and leaves on the same vine, it is a member of this family and it is safe to eat. There are a lot of dangerous plants out there! Thanks for reminding everyone to be careful eating these plants that grow wild. Interesting information and so very well researched. Thanks for sharing your knowledge! Candied violets are delicious! But I had no idea you could kudzu. Or are you joking? If it were a food source, we could solve world hunger! I agree, freeganing meats weirds me out. What a great topic! I love stuff like this - well, except for the disgusting freegan idea. I used to make tea from mint leaves after I discovered some growing in my yard in Arizona, and was tempted to try kudzu in Georgia. Here in Kansas City, I'm hoping to experiment with dandelions and violets soon. When I saw the title I was a little nervous that this might be like eating like a homeless person, after reading it I was glad to see there were structured movements occurring in large cities. Fortunately, I live in a rural area and can get food on my own property. Voted up and useful!